North Carolina’s new Medicaid director recently turned down a $1 million federal grant aimed at ensuring adults in the state’s Medicaid system receive quality care, citing competing priorities as the reason. Carol Steckel, who took charge of the N.C. Department of Health and Human Services Medicaid program in January, turned down the grant awarded before she was hired in a March 14 letter to the U.S. Centers for Medicare and Medicaid Services. The $1 million Adult Medicaid Quality Grant would have detracted from Steckel’s focus on bringing new ways of running Medicaid to North Carolina, said Julie Henry, a state DHHS spokeswoman. The grant, $971,705 in the first year, would have funded administrative positions at the state level, but Henry did not have an estimate of how many jobs it would have created or funded. “It was her decision to (turn down) the grant,” Henry said about Steckel. Even with the grant money, the department didn’t have enough resources to administer the grant, Henry said. Medicaid is one of the state’s biggest expenditures, using more than $13 billion a year in federal and state money a year to treat 1.5 million low-income seniors, children, parents, disabled and blind North Carolinians unable to afford health-care services on their own. The N.C. General Assembly and Gov. Pat McCrory recently opted not to accept federal funds and expand Medicaid and include another 500,000 people in the program hovering slightly above the federal poverty line, citing a “broken” Medicaid system that state leaders say was detailed in an audit released Jan 31 by N.C. State Auditor Beth Wood, a Democrat. Wood’s audit, done at the behest of state legislators, found the state health department failed to accurately forecast its needs, spending $1.4 billion more in 2012 on Medicaid than what the state legislature budgeted for the mandatory health services. The auditor’s office also painted North Carolina as having a flush administrative budget, though comparisons made in the audit were to states that run their Medicaid programs very differently than North Carolina. Some national experts say it’s folly to make state by state comparisons because of the huge variety and hidden administrative costs in states that, unlike North Carolina, mostly contract out with health insurance providers to manage Medicaid. North Carolina officials found out it was selected for the Medicaid grant in December, when Democrat Gov. Beverly Perdue was still in office and before Gov. 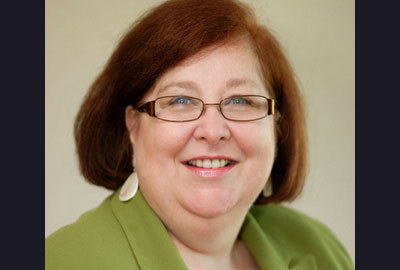 Pat McCrory selected Aldona Wos, a Greensboro physician and major Republican fundraiser, to serve as the head of DHHS. Wos hired Steckel, who ran state Medicaid programs in both Alabama and Louisiana before coming to North Carolina. North Carolina had been selected along with 26 other states to take part in the federal program to work with states on collecting and analyzing data on adult Medicaid recipients to improve quality of care. States receive up to $1 million a year for the two-year grant, which would allow the state’s to develop ways to monitor quality care before mandatory oversight in 2014 kicks in. Steckel’s main focus instead will be a project launched in February to seek suggestions of new ways to run Medicaid, Henry said. The Feb. 4 request for information put forth by Wos and Steckel asks, among other things, for groups to submit ideas about how to bring changes to Medicaid that are market-based, increase fiscal and personal responsibility of patients and expands the provider-run Community Care of North Carolina system that links patients with primary care physician to lower costs. “That effort is taking precedence,” Henry said. A $1 million grant isn’t a huge portion of the state Medicaid budget, but the recent refusal may point to a larger pattern of the new Medicaid administration and state leaders turning down opportunities linked to the Obama Administration’s implementation of the national health care program, said Jonathan Oberlander, a UNC-Chapel Hill professor of health care policy that’s been supportive of the national health care reform. Oberlander says he and other health care experts are watching to see what type of reforms come out of the state’s Medicaid office, as part of Steckel’s initiative to ask for different ways of running Medicaid. He hopes that any changes don’t undermine existing services and instead bring administrative changes that pave the way to eventually expanding Medicaid to those that need it in the future. Questions? Comments? You can reach reporter Sarah Ovaska at (919) 861-1463 or sarah@ncpolicywatch.com.